Modern businesses have never been busier in Australia, with online technologies such as e-commerce and social media opening up even the smallest players to a global audience. However, despite late 20th century predictions that the internet would usher in a wondrous age of the “paperless office”, business owners and their staff are still using more traditional tools such as printers and photocopiers on a daily basis. 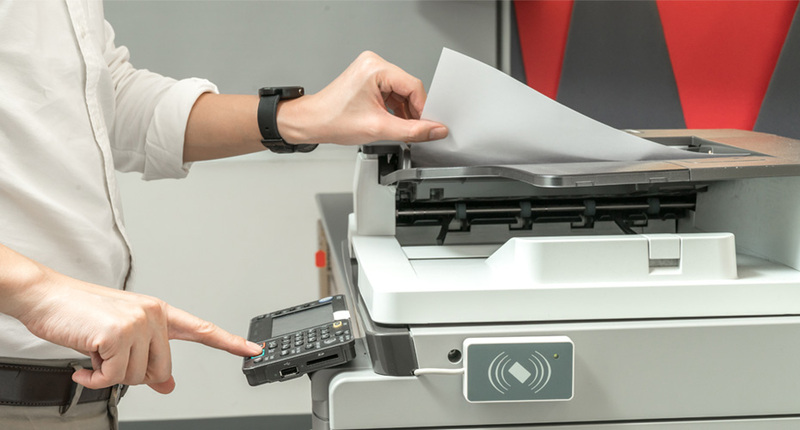 From scanning important documents, to making multiple copies of that impressive newspaper article your business was recently featured in, having a fast and reliable photocopier in your office is a must. Whilst these machines have advanced in leaps and bounds over recent years, they can still be quite pricey – especially if something goes wrong. Thankfully, you can always buy used photocopiers for a fraction of the price or even rent one from a reputable supplier such as Melbourne’s own Copysonic if the need arises. But what exactly should you be looking for in a second hand photocopier before you buy? Let’s take a more detailed look into this very specific topic before you invest your hard earned dollars. The benefits of buying a second hand photocopier: more money for growing your business. Buying a second hand photocopier comes with its own unique benefits, the biggest being the significant cost savings you will enjoy, which in many cases add up to less than half the price of a brand new copier that’s fresh from the showroom floor. How old is this copier? What is its copy count? What is the warranty and service agreement on this machine? Let’s get down to the nuts and bolts of it – buying a second hand photocopier will cost around half the price of a brand new device, meaning you’ll have more money left in your pocket to grow your business! All second hand copiers refurbished and sold by Copysonic attract the same warranty as a brand new machine, giving you peace of mind that your (smaller) investment will pay off with reliable and efficient service. As an added bonus, you’ll also pay the same price for your service agreement as a new photocopier, locking in a great deal for you and your business! Given the majority of our refurbished machines are less than 12 months old, wear and tear will be minimal, which means running costs should not be any higher than a brand new copier. We also stock the highest quality brands such as Canon, Kyocera, Ricoh and Xerox which are built to last. Another benefit you’ll enjoy buying from Copysonic are the same cutting edge features you’d find on a brand new copier, largely due to the fact our machines are generally less than one year old, as mentioned above. New vs second hand: The secrets other printing companies don’t want you to know about. Whilst we’re upfront at Copysonic and openly sell many second hand photocopiers and printers, other printing and office equipment suppliers can be a little less transparent in their dealings with the public. The truth is, many will sell machines that are actually older than their promised age, including “new” copiers which have already been used a few times (referred to in industry speak as “copy count”). Others will only offer a 3-month limited warranty on second hand machines, which in some cases have not been refurbished to restore them to “good as new” condition. Most sneakily of all, some competitors will actually use old parts from retired machines, whereas we fully refurbish used copiers from top to bottom, so you can be assured of reliable performance. In the market for a used photocopier? Five things to know before you buy. So you’ve done the numbers and can see the value buying a second hand photocopier will offer your business, as opposed to purchasing one brand new. Great! However, before you open your wallet here are five questions to ask to ensure you get the best deal possible and aren’t left with a costly dud. One of the most important factors, the older the copier the more wear and tear it will have endured. Ideally, you’d be seeking a used machine that’s 12 months old or less. “Copy count” refers to how many times the machine has been used in the past to make photocopies. The lower the copy count, the less wear and tear. Warranty. This is another important question to ask, as many copier resellers will only offer a limited 3-month warranty. Ideally you’d like a warranty that extends to at least 12 months to give you extra peace of mind. For a high volume of copying, a freestanding unit will be best. For only occasional copying, a smaller, desktop machine will suffice. Always check if a used photocopier has been refurbished and if it has, found out when, why, the relevant warranty information and also how easily spare parts can be sourced. Keen to get your hands on a high quality, competitively priced used photocopier here in Melbourne? Contact our friendly experts at Copysonic on [phone].